… [A] Congressional committee just held hearings trying to get to the bottom of Planned Parenthood’s activities—the group announced it will henceforth provide fetal parts to researchers without cost, adding heft to [David] Daleiden’s charge that the organization profited from sold fetal parts. 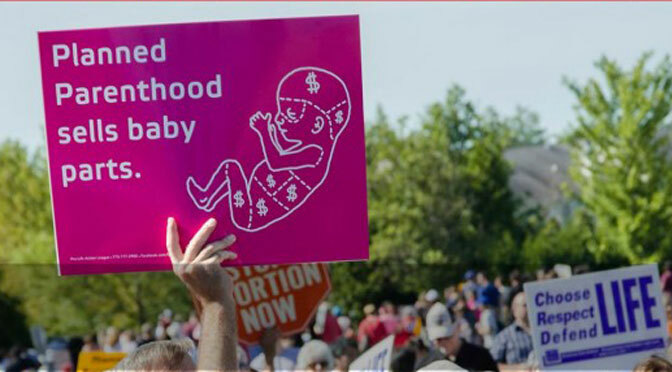 We also learned at the hearing, that obtaining fetal parts did not add to Planned Parenthood’s costs, thereby disproving their original defense that the cost of procurement the group used to charge merely reimbursed its incurred expenses…. Didn’t really hear much about those hearings, did you? That’s not surprising. The media has decided not to cover the Planned Parenthood story except when it cuts against Daleiden and the pro-life movement. Concomitantly, the ruling elite has dedicated itself to protecting Planned Parenthood from the consequences of its actions. Worse, a strong message has been sent that not only is Planned Parenthood potentially above the law, but that concerted efforts to discredit the organization will be met with criminal charges or investigations against those seeking to undermine the organization.